The success of our organization is greatly dependent on the volunteers who participate on our Committees, which continue to deliver top-notch educational programming, reference materials and other member benefits, and contribute to the progress of our profession every day. We commend the efforts of our volunteer members! To maintain our current success and future achievements, we have developed this webpage to provide the framework within which every Committee must operate. This will help ensure effective communication and alignment with ISMPP’s goals and objectives. This document will be updated each operating year and will be provided to each member volunteer for reference, as well as posted on the ISMPP website. Again, thank you for your time and effort on ISMPP initiatives. You are the key to our success! ISMPP is the only independent, nonprofit professional association founded by publication planning professionals for publication planning professionals. Our membership includes representation from the pharmaceutical, medical device, and biotechnology industries; publication planning and medical communications companies; academia; and medical journal staff, including writers, editors, and publishers. Additional information about the society is available on the ISMPP website. ISMPP’s Committees are governed by our Bylaws. To become the leading global authority on the ethical and effective publication of medical research to inform treatment decisions. If a Committee member requires a hard copy of the form, please have them contact [email protected]. 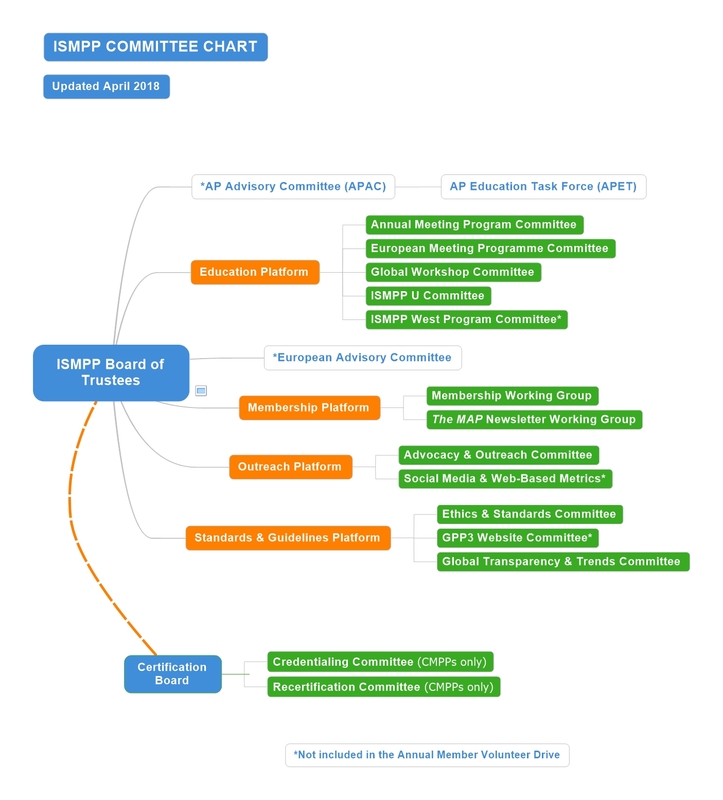 Each Committee is provided with an overarching remit by the ISMPP Board of Trustees (BOT), as indicated in this document. This remit will align with the strategic direction that the BOT sets in the current year. The Committee should set objectives that meet the BOT remit. A BOT member or ISMPP staff member is affiliated with each Committee and a Chair is appointed for each Committee. You will be notified once these individuals have been assigned, however for any ad hoc guidance, please contact the ISMPP office at [email protected] or +1 914 618 4453 as needed. Quarterly meetings will be scheduled for Committee Chairs during which each Chair will provide a verbal update of activities and progress against remits to date. Further details will be provided. ISMPP is a non-profit association, and in general Committees should endeavor to be as self-sufficient as possible from within their own resources. The ISMPP staff may be able to assist in certain circumstances but it should be generally assumed that they cannot perform a tremendous amount of Committee administration in addition to their pre-existing ISMPP responsibilities. If you need to contact any of the ISMPP staff, please visit: http://www.ismpp.org/contact-us. The effectiveness of our Committees is driven by open and frequent communication and collaboration, consistent with good professional practices. Volunteers can expect to be present on monthly calls and actively participate in activities and sub teams. Participation may be more or less frequent based on needs and level of activity. The ISMPP Committees, like teams, are more functional and efficient with full member participation, and a sharing of the workload. We respect that all volunteer members have other professional commitments. Thus, if once joining a Committee an individual is unable to participate fully, we understand if he or she chooses to resign from the Committee during the year. Likewise, if an individual is unable to attend three or more Committee meetings or to be an active member of the Committee, ISMPP may also ask an individual to step down. Committee membership is a members-only benefit. Committee work assigned to an ISMPP committee member must be worked on by the committee member. Utilizing outside resources to complete committee assignments is not a transparent practice and violates the confidentiality agreement signed by all volunteers. If a committee member is unable to work on their assigned tasks, they must alert the Chair who may adjust timelines, redistribute the work and/or reassign the work to another committee member(s). If a nonmember or member is contributing to a committee’s remits who is not on the committee itself, they should be invited to join the committee (the individual must be an ISMPP member in good standing) and sign the ISMPP Confidentiality Agreement and COI. Committee Chairs: An ISMPP conference number will be provided to you for any meetings you convene. If you have any special circumstances (eg, a Committee member outside the US who has requested a toll-free number), require technical assistance or have any questions, please contact [email protected]. Good practice to record a list of actions and distribute among the Committee; formal minutes are not required, but documentation of Committee actions should be taken and uploaded to the Committee Center for both the individual Committee, as well as the Committee Chair and Leadership Group (see below). Committees should arrange to take their own notes; this is not support that the ISMPP staff is able to provide on a regular basis. Each Committee Chair is now tasked to utilize the ISMPP Member Center to house Committee documentation. In addition, each Committee member is encouraged to take the time to update their profile, add a picture, make ISMPP connections, and explore all the features this new and improved site has to offer. Directions on how to access and archive in the Committee Center are provided next. The Committee Center can be found through the ISMPP Member Center! Please click here to access step-by-step instructions on how to access the Committee Center. Committee members should always conduct themselves in a professional manner. No Committee member(s) should attack another individual, either personally or directed at their employer. Committees are not intended to serve as a forum to highlight a company’s products and/or services. ISMPP remains committed to supporting the activities of each of its operating Committees. We acknowledge that their members are volunteers and as such provide their time and effort in kind to our organization. In some instances, the efforts of each Committee may require support through an outside group/vendor with a specific expertise or we may need to fulfill deliverables on an expedited schedule that may not be able to be supported by volunteers. To facilitate decision-making through better assessment and prioritization, we have prepared an online Request for Funding form for each Committee to prepare and submit, as needed. Please note the Committee does not have any authority to utilize ISMPP funds without BOT approval and must submit a Request for Funding prior to any financial commitments. Each request is reviewed for alignment with the overall mission, value, and objectives of ISMPP. The BOT will respond to each request within one month with either further questions to support the request or an approve/decline decision. Click for the Request for Funding form. Please submit any other documentation that you feel would be useful in evaluating your request, please forward to [email protected]. The effectiveness of our Committees is dependent on an open, cross-functional collaboration among our volunteers and leaders. The ISMPP BOT must also ensure that the goals and objectives and priorities of the organization are communicated to each Committee. 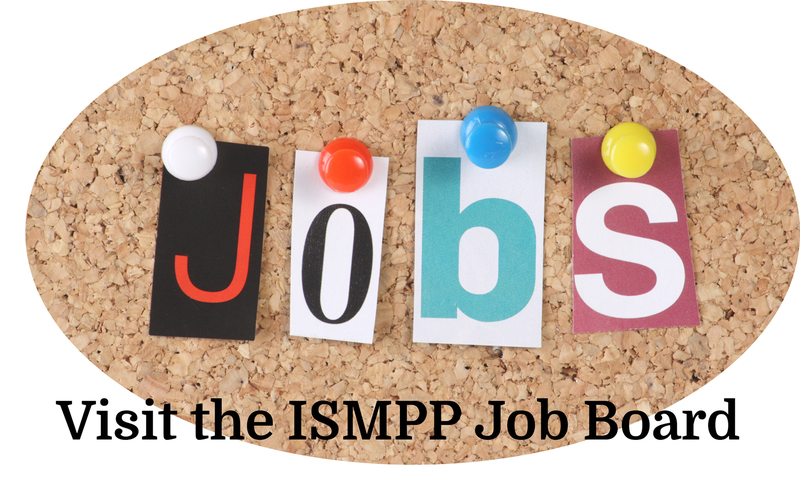 Opportunity: Per ISMPP Bylaws, a Vice Chair is to be selected for each Committee to assist with transition and potentially assume the Chair position at a later point. The individual committees and current remits can be found through the linked platforms above; or navigate through each by visiting Committees.